The CAUBO Quality and Productivity Awards provide an important opportunity to showcase your initiatives and innovations. ubmissions should be sent no later than Jan. 4, 2016. The CAUBO Quality and Productivity Awards provide an important opportunity to showcase your initiatives and innovations. 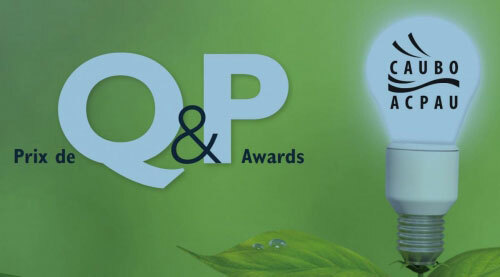 In past years, McGill administrative and support staff have won several Q&P awards or earned honorable mentions. It is a great way to bring recognition to your colleagues, your unit and your university. Download the application form. Submissions should be sent no later than Jan. 4, 2016, to Paolo Errore. For more information about these awards in the McGill context, contact Paolo Errore at 514 398-6659 or by email, or visit the webpage.